Stock # UEB40002, Regular Unleaded V-8 6.2 L/379, Automatic, 51072 mi. WAS $47,995, PRICED TO MOVE $4,000 below NADA Retail! 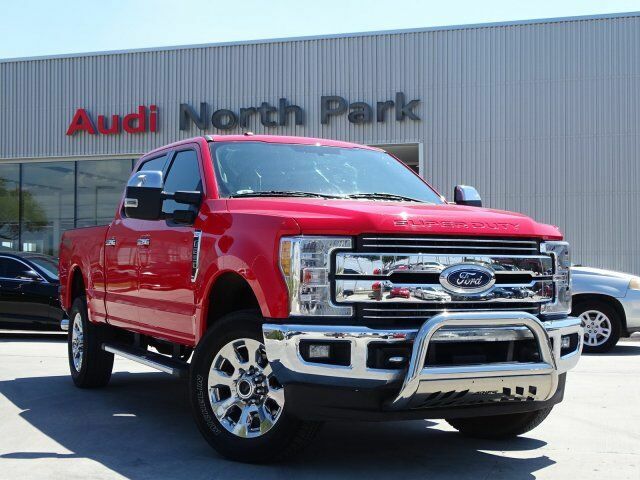 Nav System, Heated Leather Seats, Bed Liner, Hitch, Back-Up Camera, Premium Sound System, 4x4, Aluminum Wheels, TOUGH BED SPRAY-IN BEDLINER, VOICE-ACTIVATED NAVIGATION CLICK ME! CHROME PACKAGE Wheels: 18" Chrome PVD Aluminum, Unique Chrome Mirror Caps, 6" Angular Chrome Step Bars, Body-Color Door Handles w/Chrome Insert, Chrome Exhaust Tip, LARIAT VALUE PACKAGE Easy Entry/Exit Memory Driver's Seat Feature, PowerScope Trailer Tow Mirrors w/Memory, Remote Start System, Power Heated/Cooled Passenger Seat, LED Box Lighting, LED Center High-Mounted Stop Lamp (CHMSL), Power Heated/Cooled Driver Seat w/Memory, Memory Power-Adjustable Pedals, VOICE-ACTIVATED NAVIGATION HD and SiriusXM Traffic and Travel Link, NOTE: SiriusXM Traffic and Travel Link includes a, Services are not available in Alaska and Hawaii, TOUGH BED SPRAY-IN BEDLINER tailgate-guard, black box bed tie-down hooks and black bed attachment bolts, ELECTRONIC-LOCKING W/3.73 AXLE RATIO, ENGINE: 6.2L 2-VALVE SOHC EFI NA V8 FLEX-FUEL (STD), TIRES: LT275/65RX18E BSW A/S (STD). MP3 Player, 4x4, Onboard Communications System, Aluminum Wheels, Keyless Entry, Privacy Glass, Steering Wheel Controls.